Avoid starting a dashboard from scratch when adding a new device by duplicating dashboards. You might want to create new dashboards when adding more and more devices. You could create a template, which is a great solution for scaling up visualization. Another -and faster- solution is duplicating a current dashboard, to immediately connect a single new device. Here is how it's done. 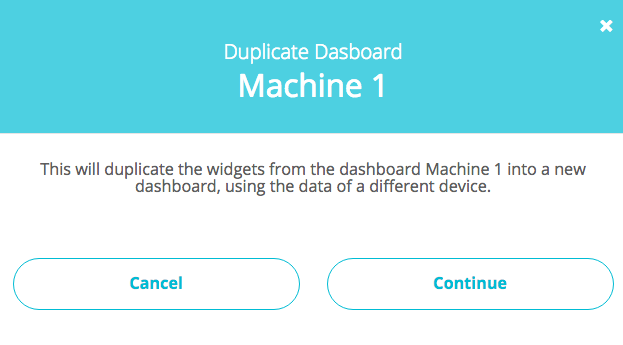 First, open your Ubidots or Ubidots for Education account and go to Device Management -> Dashboards and choose the dashboard you want to duplicate. Then, in the submenu -below the main menu, click the copy icon. Then, a pop-up will show up. You should accept. Now, you should choose the device you want to use for the duplicated dashboard. 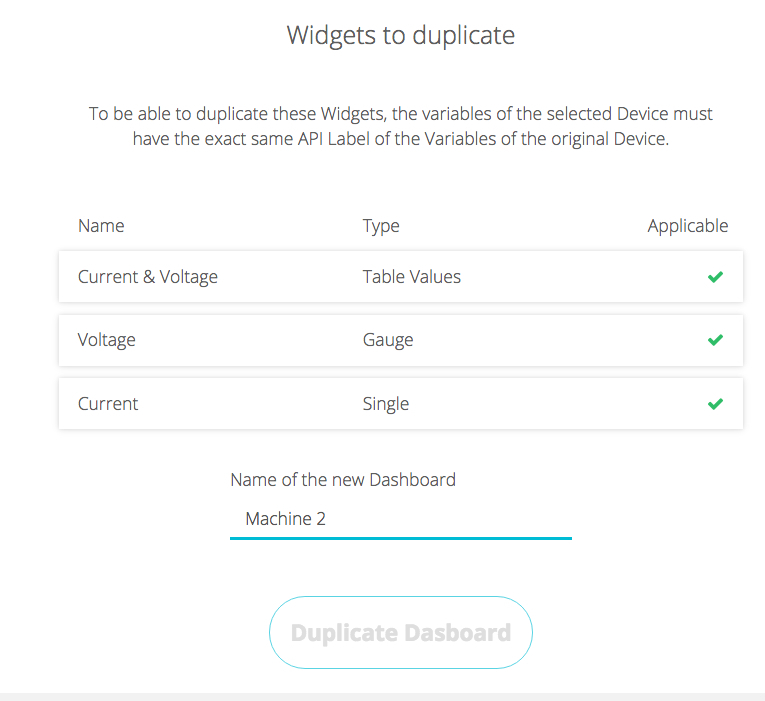 Check that the variables are applicable for the dashboard; To be able to duplicate widgets, the variables of the selected Device must have the exact same API Label of the Variables of the original Device. In this case, both Machine 1 and Machine 2 contain variables' API labels called Current and Voltage. And choose a name for the new dashboard.